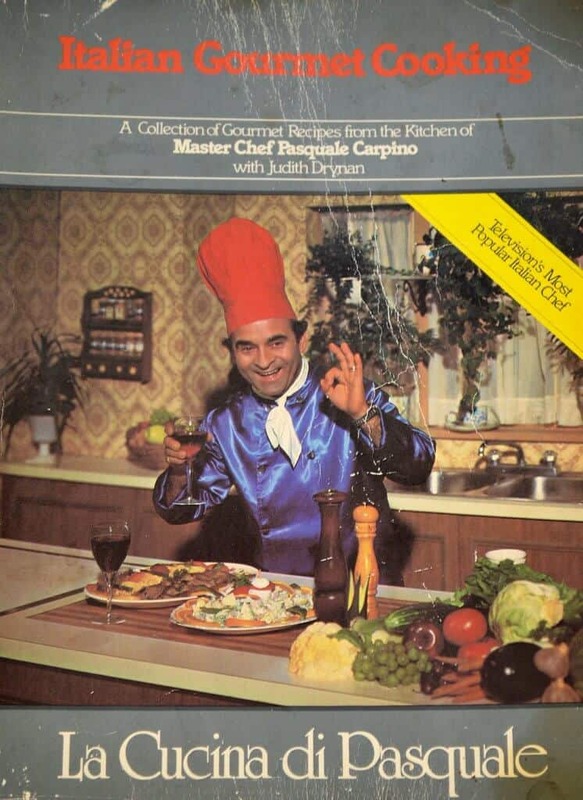 If you were living in Quebec or Ontario, and of Italian descent, you knew about Chef Pasquale Carpino, the Calabrian opera singing Chef. Chef Pasquale was extremely entertaining to watch. You can watch a short television clip here. Chef Pasquale was creative, gifted and inspirational. Let me remind you, there was no Food Channel back then. This chef was the real deal. My family and friends know that I cannot walk into a bookstore without walking out with a cookbook. One of the first cookbooks I owned was entitled “La Cucina di Pasquale”. The first recipe I made from this cookbook was the Italian Egg Drop Soup. As you can tell, I got a lot of use out of my first cookbook! 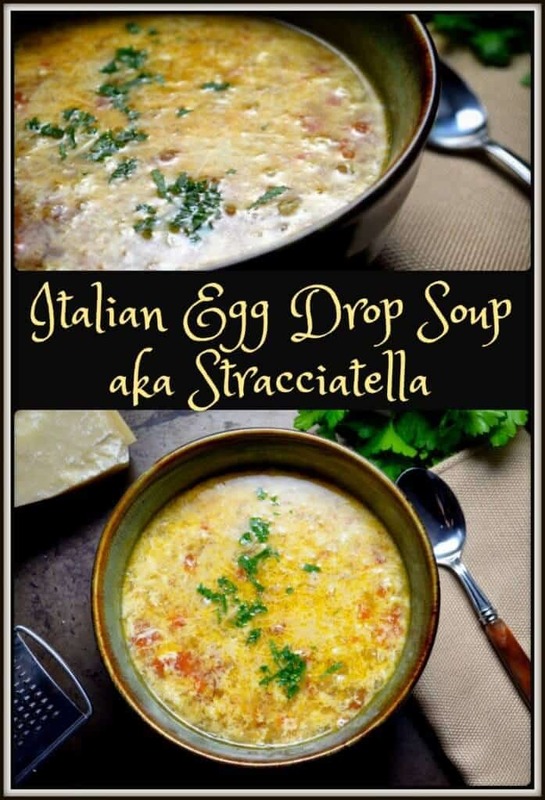 You can make this recipe for Italian Egg Drop Soup in under 20 minutes! 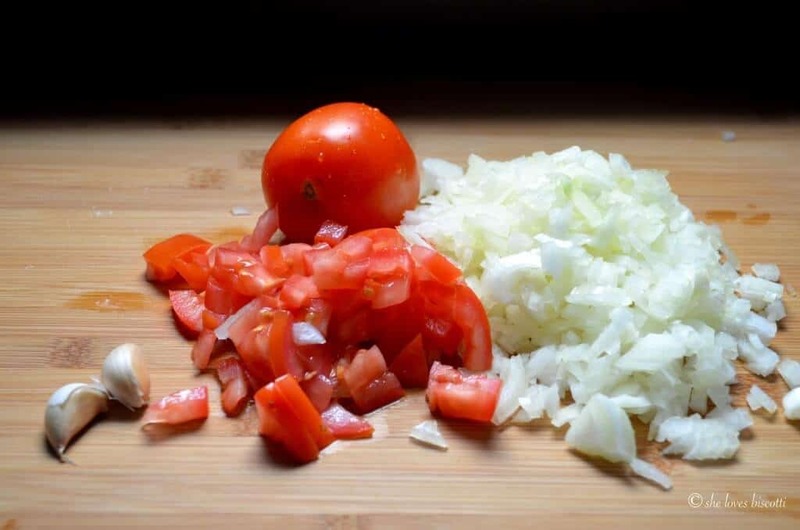 Essentially, you start by stir frying some onions, tomatoes and garlic. Then, it’s just a matter of adding some chicken or vegetable broth and letting it simmer for about 10 minutes. After which, you pour some beaten eggs and stir like crazy. I usually make my own broth: after I’ve finished roasting a chicken, I will simmer the bones and skin along with a few celery sticks, carrots, an onion, garlic, thyme and a bay leaf for a couple of hours. Easy and economical. 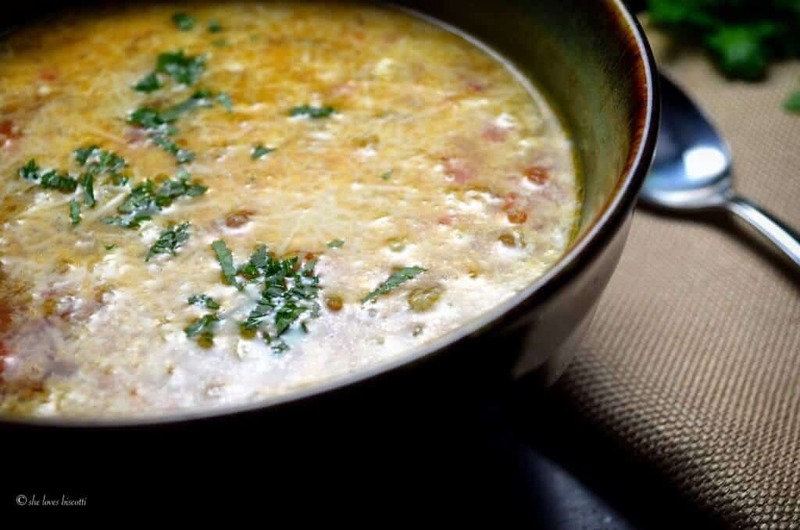 As in most recipes, there are always variations and this Italian egg drop soup is no exception. I prefer sautéed tomatoes in a chicken broth with some cooked chicken. If you prefer, you can eliminate the chicken and substitute with spinach and noodles. Or you can add some minced scallions or chives. You are only limited by your imagination and whatever you have in your pantry and fridge. Buon appetito ! With a few simple ingredients easily found in your pantry and fridge, you too can make Italian Egg Drop Soup also known as Stracciatella. Simple and satisfying. Sauté onion for 3-4 minutes. Add minced garlic and sauté for 1 minute while stirring. Add chopped tomatoes and continue to sauté for a few more minutes. Add broth and simmer for about 10 minutes. Add chopped chicken (if using). Slowly pour slightly beaten eggs into the broth while stirring in a circular motion with a fork for about one minute. Top with grated cheese and parsley. So easy to make! Great recipe… thanks Maria!